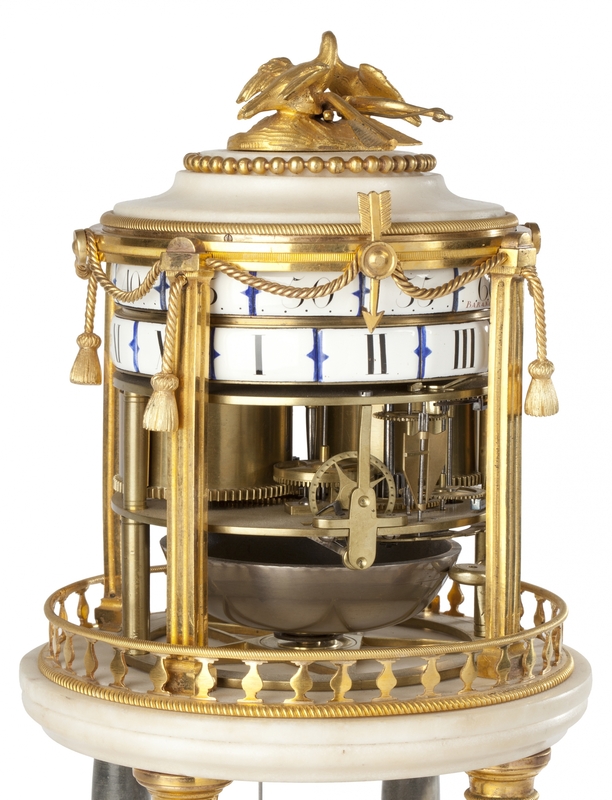 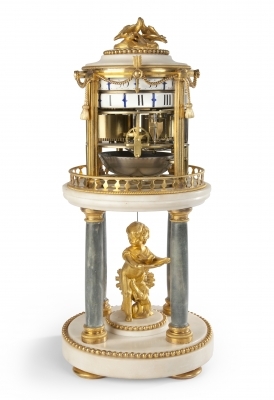 8-day spring driven movement with pinwheel escapement and countwheel striking on a bell, ormolu mounted grey and white marble case. 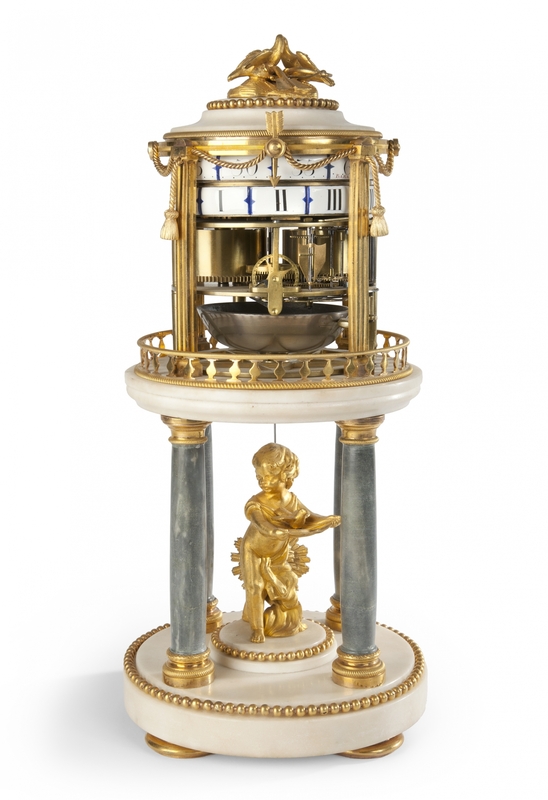 8-day spring driven movement with pinwheel escapement and silk suspended sunburst pendulum, countwheel half hour striking on a bell, driving the two horizontal chapter rings with Roman numerals for the hours past a fixed pointer, minute ring signed Barancourt A Paris, fitted in the two-tier annular marble case surmounted by two doves on a bow and arrow, supported by four grey marble columns around an ormolu putto feeding a dove, annular plinth with pearl rim on flat bun feet. 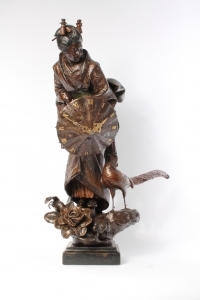 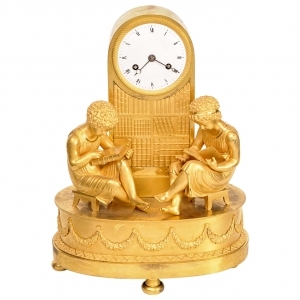 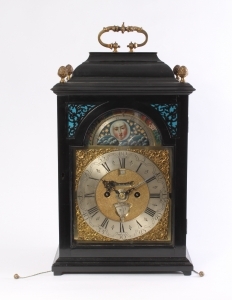 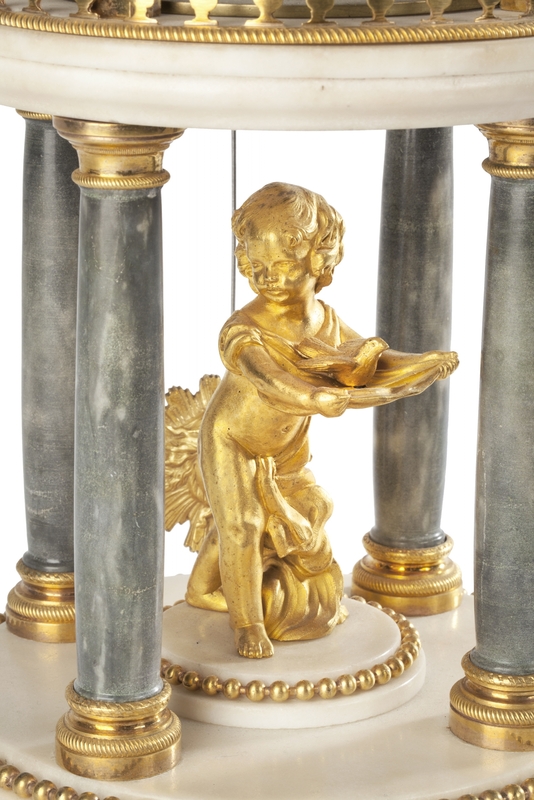 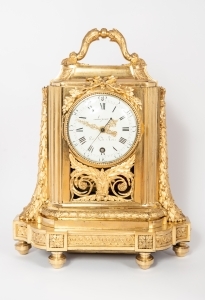 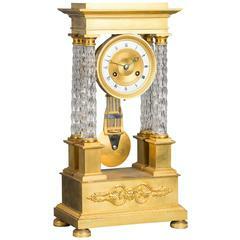 A rare and attractive French bronze patinated metal sculptural 'Oriental' timepiece, circa 1880.